Broce Manufacturing Company has formed a new strategic partnership with Turf Reclamation Solutions. 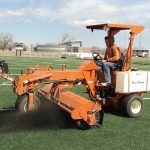 TRS is the leader in innovation and design of equipment specifically designed for the rapidly growing end-of-life sector of the artificial turf industry. 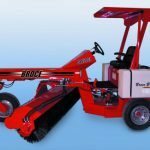 In the new partnership, Broce Manufacturing will take over manufacturing and sales of the TRS line.